Staff at the Checkatrade headquarters, currently based in Selsey, have today been told of the company's plans to move to Portsmouth in 2019. Due to 'significant investment, growth and expansion', Checkatrade has decided to move the headquarters of the business to Lakeside, but it hopes that all 218 staff members will 'feel able to move with us'. Chief Operating Officer Linda Hardy said: "Checkatrade has ambitious plans to continue eliminating rogue traders across the UK, and the relocation will support business growth in the best way to deliver these long-term plans. 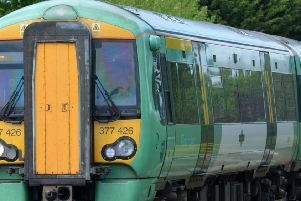 "We have spoken with all staff at Selsey today and informed them of the company plans. "All our employees are of the greatest importance to our business. We will clearly support them through the transition phase." Checkatrade confirmed its plans to begin the move in April 2019 and to have completed the move in June 2019. It said a number of its teams had already been based at Lakeside since July 2018. It added that the office space at Selsey is now at 'full capacity' and 'will not support' the anticipated increase in employee numbers due to the current recruitment drive. Checkatrade said it will also require 'significant investment' to improve the working environment for all employees. "Attracting further top talent is key to delivering our growth plans and Lakeside is a suitable location with the capacity to house all our Checkatrade headquarters colleagues under one roof. "In addition, there are several good transport links to Lakeside from various residential locations." Following today’s announcement, Checkatrade said all employees will have a 1:1 consultation with a member of the senior leadership team with additional support provided by their line manager and a representative from HR. The spokesman added: "They’ll be kept updated throughout the process with regular communications from Checkatrade." Linda Hardy said the plan will fulfil Checkatrade's 'ambitious long-term business plan'. She added: "(This) includes continued growth and expansion over the next few years. "Our employees are pivotal to this plan, and so our decision to move the headquarters of our workforce under one roof will ensure that our staff work collaboratively in a modern, fit for purpose premises.